BERLIN - Donald Trump may not want to launch wars in the Middle East, but that doesn’t mean he’s getting the United States out of the regime-change business. 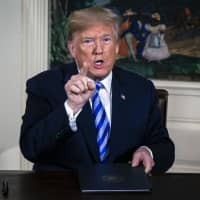 His administration has made it clear that it wants crippling sanctions on Iran to serve the same purpose as the Bush administration’s 2003 invasion of Iraq. 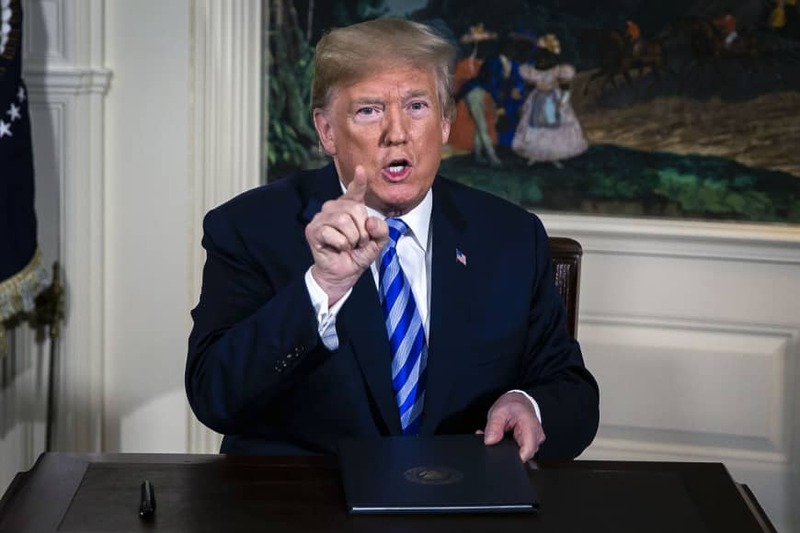 Since withdrawing in May from the 2015 Iranian nuclear deal, known as the Joint Comprehensive Plan of Action (JCPOA), Trump has been looking for ways to turn up the pressure on the regime in Tehran. This Sunday, U.S. sanctions on the country’s vital oil industry will go into force. And the administration wants to go even further, by imposing secondary sanctions on other countries with the goal of shutting Iran out of the dollar-based global economy entirely. To that end, the U.S. wants to bar Iranian banks from the Society for World Interbank Financial Telecommunications (SWIFT) and the global payments system that it oversees. This would effectively send Iran back to a pre-globalization dark age. The problem for Trump and his advisers, though, is that SWIFT is not a U.S. institution. It is registered and based in Belgium, which, along with the European Union’s 27 other member states, supports the JCPOA. America’s exploration of increasingly sophisticated “smart” sanctions is not new. At least since the start of the “war on terror,” the U.S. has been pulling every financial lever that it can to destroy global networks like the one Osama bin Laden used to launch the attacks of Sept. 11, 2001. At first, the U.S. focused mainly on freezing the assets of extremist groups and their affiliates. But then Stuart Levey, the undersecretary for terrorism and financial intelligence at the U.S. Department of the Treasury, had another idea. While traveling in Bahrain, he read a local newspaper report about a Swiss bank shutting down its business with Iran. It occurred to him that the U.S. could use its own influence over the private sector to block malign actors from the global economy. Soon thereafter, the U.S. started pressuring banks around the world to drop their business with Iran. Eventually, the authorities declared that any bank doing business with Iran would be shut out of the U.S. market. With that announcement, “secondary sanctions” were born. Levey’s secondary sanctions were tremendously successful. No sane business leader would ever choose the basket-case economy of a Middle Eastern mullah state over that of the U.S. And when banks (namely, France’s BNP Paribas) were accused of violating the sanctions, the fines were so large that they sent shock waves through global financial markets. It didn’t take long for the U.S. to deploy similar methods of “connectivity warfare” against North Korea, Sudan and even Russia. Former CIA Director Michael Hayden once likened secondary sanctions to a “21st-century precision-guided munition.” Because they are more of a scalpel than a sledgehammer, they were particularly attractive to Europeans, who recognized them as an effective alternative to war. Unlike the West’s sanctions against Iraq in the 1990s, they offered a way to punish regimes rather than entire populations. Under President Barack Obama, targeted sanctions became America’s weapon of first resort. Together with the EU, the Obama administration sharpened and fine-tuned the punitive measures against Iran. This proved so effective that Iran eventually came to the negotiating table, where it agreed to limit its nuclear-enrichment activities under the JCPOA. In Trump’s hands, however, the scalpel has become a sledgehammer. As one senior European policymaker put it to me, the Trump administration’s new sanctions are like cluster bombs, falling on friend and foe alike. Since Trump scrapped the JCPOA, European leaders have been looking for ways to preserve some of the benefits for Iran, so that it will not restart its nuclear program. But the U.S. has been making this difficult, by threatening individuals on European corporate boards, including the directors of SWIFT, with targeted sanctions. Even more shocking, similar threats have reportedly been made against key European public officials. European leaders’ request to the European Investment Bank for its help in supporting the Iran nuclear deal doesn’t seem to have borne fruit, most likely owing to U.S. threats against the EIB’s corporate interests and directors. Moreover, there are even rumors of veiled U.S. threats against central bankers, including the directors of the European Central Bank. For its part, the Bundesbank was considering opening an account to finance trade with Tehran, so that private German banks would not be forced to comply with the whims of an American president; but it dropped the idea fairly quickly and without much explanation. The Banque de France actually did create an account (through the French public investment bank, Bpifrance) to finance trade with Iran; but it, too, quickly reversed course. At this point, one cannot rule out the alarming possibility that top European officials are being pressured to shirk international law out of fear of being imprisoned on their next trip to the U.S. Not surprisingly, Europeans are debating anew the appropriate use of sanctions. Moreover, as the U.S. financial system increasingly becomes an extension of Trump’s national security policy, European policymakers have begun to lament the “tyranny” of the dollar. In a recent commentary in Handelsblatt, German Foreign Minister Heiko Maas went so far as to call for the creation of an independent European payments system. It would seem that even the most staunchly Atlanticist EU member states are being driven to create an alternative to the dollar regime, even if that alternative is nowhere in sight yet. In the near term, the question for Europeans is how to hold their own in a dollar-denominated world. The EU has already stood up to Trump’s protectionist attacks, by threatening countermeasures against U.S. producers. Now, it must do the same in the financial sector. Threats to European institutions and personnel should be met with threats of proportionate countermeasures. That, unfortunately, is the only diplomatic language Trump seems to understand.